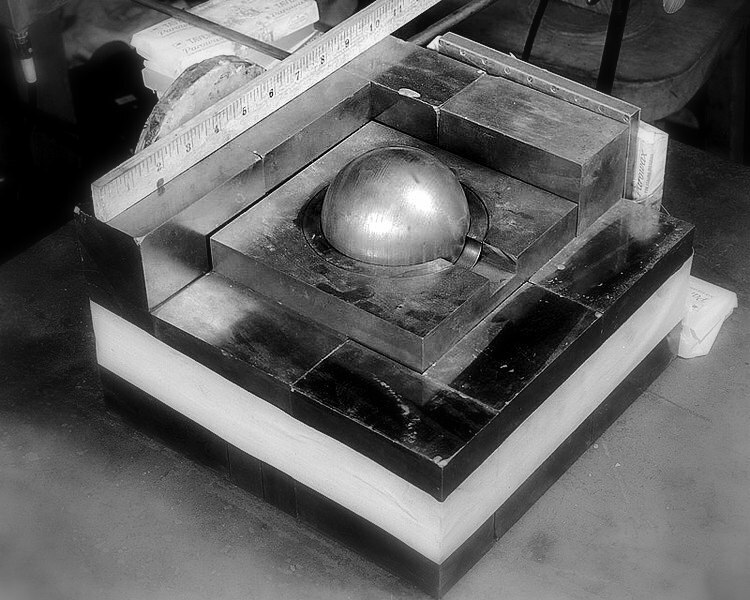 The demon core was a 6.2-kilogram subcritical mass of plutonium measuring 89 millimetres in diameter. 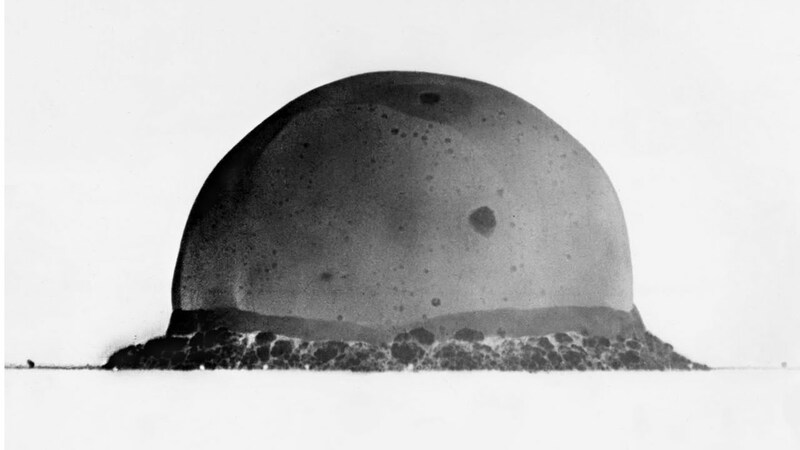 The core was slated for use in a third World War II nuclear bomb, but remained in use for testing after Japan’s surrender. 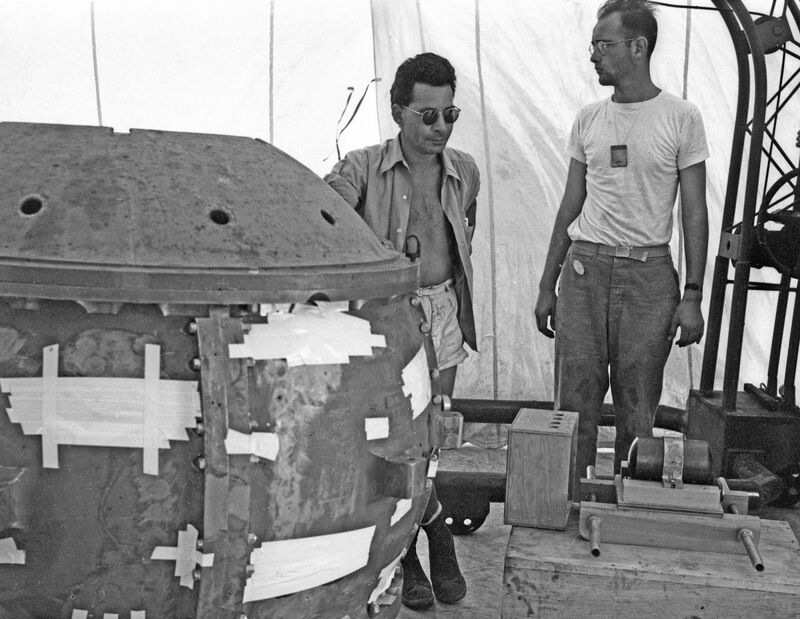 It was designed with a small safety margin to ensure a successful explosion of the bomb. 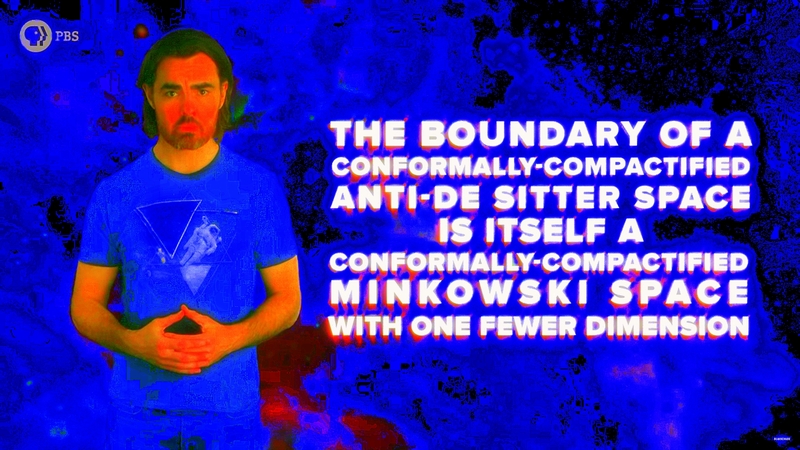 The device briefly went supercritical when it was accidentally placed in supercritical configurations during two separate experiments intended to guarantee the core was indeed close to the critical point. 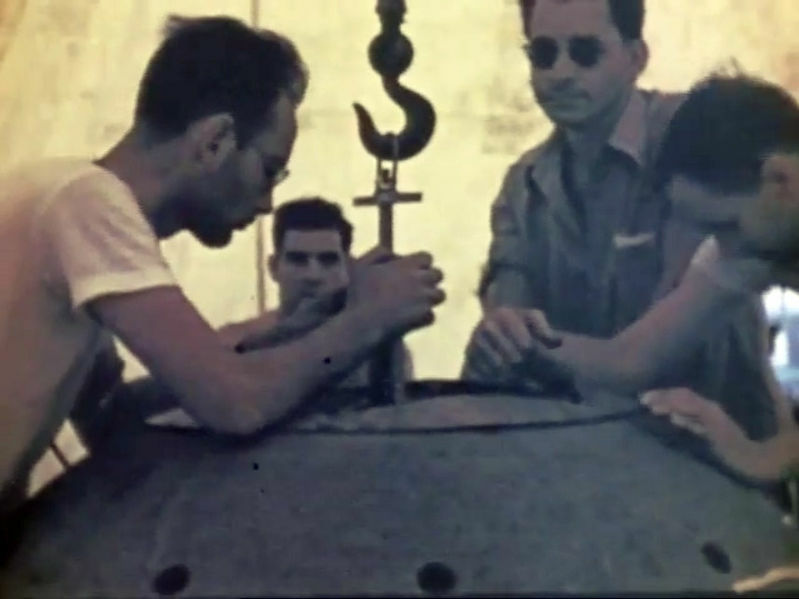 The incidents happened at the Los Alamos laboratory in 1945 and 1946, and resulted in the acute radiation poisoning and subsequent deaths of scientists Harry Daghlian and Louis Slotin. 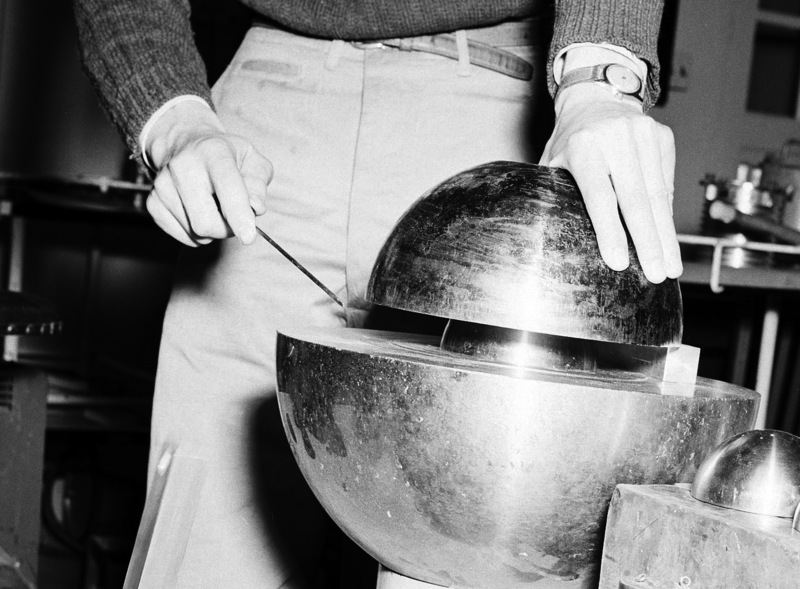 After these incidents the spherical plutonium core was referred to as the “demon core“. The blue flash was clearly visible in the room although it (the room) was well illuminated from the windows and possibly the overhead lights. The total duration of the flash could not have been more than a few tenths of a second. Slotin reacted very quickly in flipping the tamper piece off. 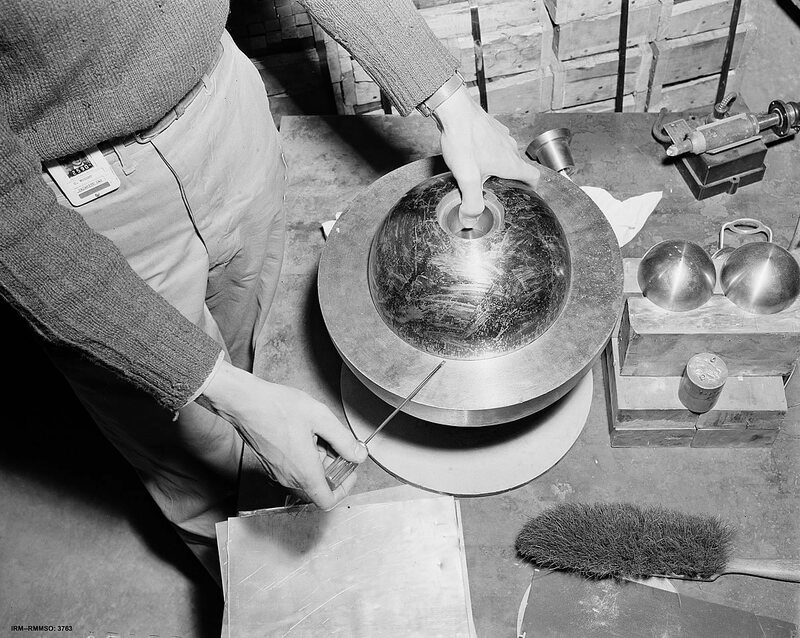 It consisted of three parts: two plutonium-gallium hemispheres and a ring, designed to keep neutron flux from “jetting” out of the joined surface between the hemispheres during implosion. The core of the device used in the Trinity nuclear test at the Alamogordo Bombing and Gunnery Range in July did not have such a ring. 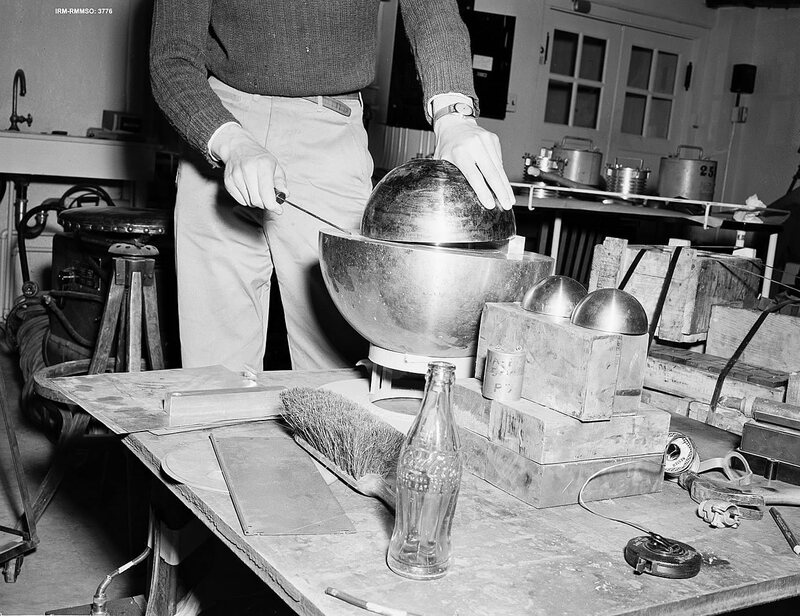 The demon core was intended to be used in the Operation Crossroads nuclear tests, but after the critically accident, time was needed for its radioactivity to decline and for it to be re-evaluated for the effects of the fission products it held, some of which could be very poisonous to the desired level of fission. 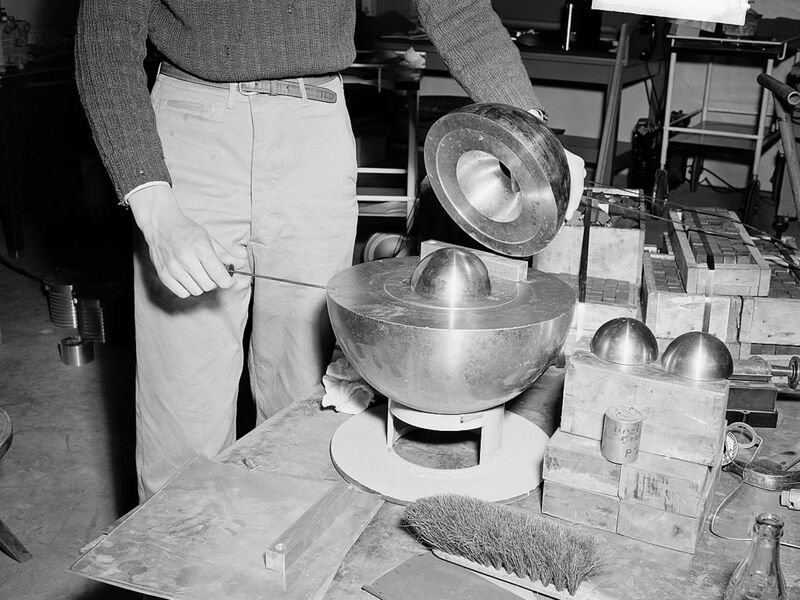 The next two cores were shipped for use in Able and Baker, and the demon core was scheduled to be shipped later for the third test of the series, provisionally named Charlie, but that test was cancelled due to the unexpected level of radioactivity resulting from the underwater Baker test and the inability to decontaminate the target warships. The core was later melted down and the material recycled for use in other cores.